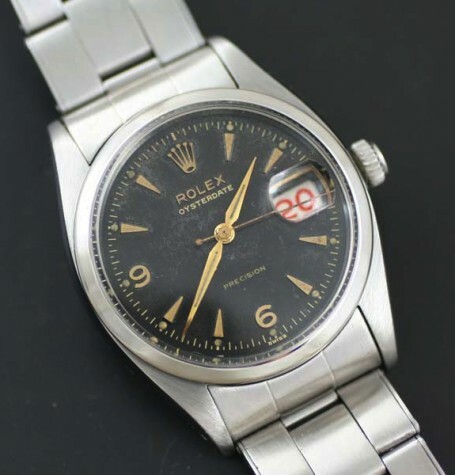 Manual wind vintage Rolex Oyster. 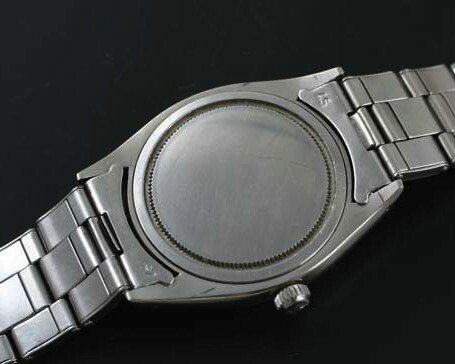 Stainless steel Oyster case featuring a black original dial with arrowhead markers and Explorer style Arabic numerals. 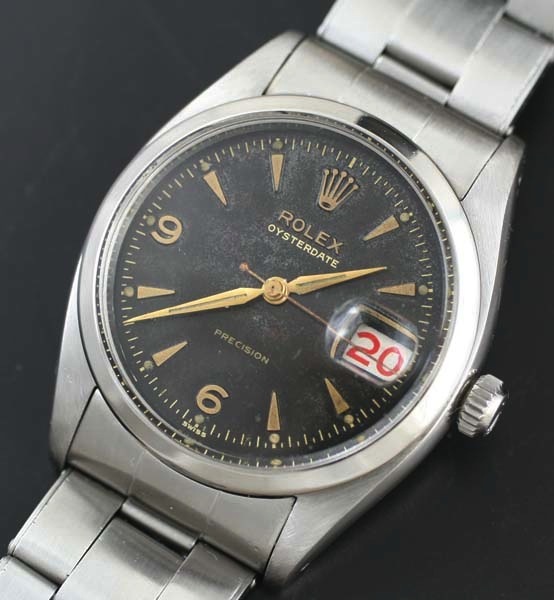 A classic vintage Rolex. 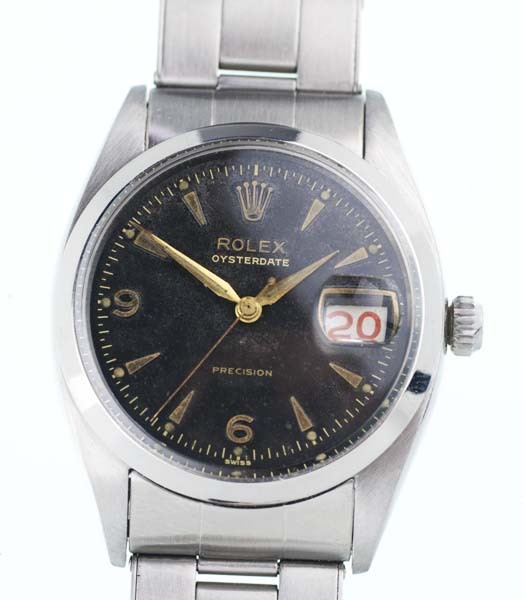 This vintage Oyster is a manual wind Rolex Oysterdate with one of the most durable movements Rolex ever made. 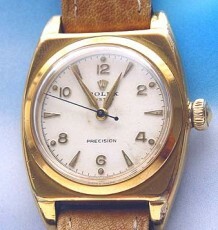 The watch dates to the 1954 and carries many of the iconic features of the Rolex’s produced during this period. 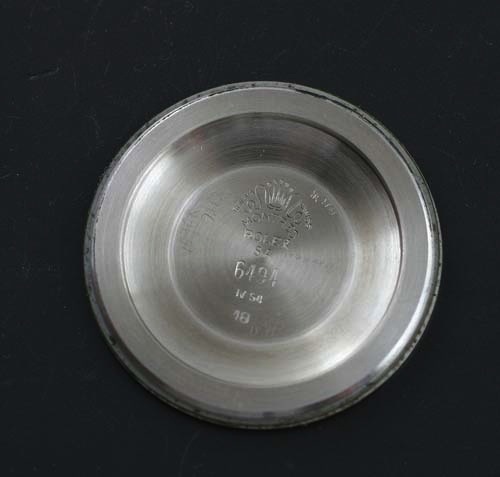 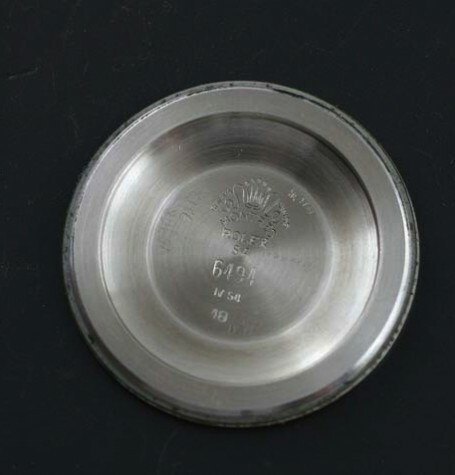 Collectors will recognize the sought after roulette wheel date disc. 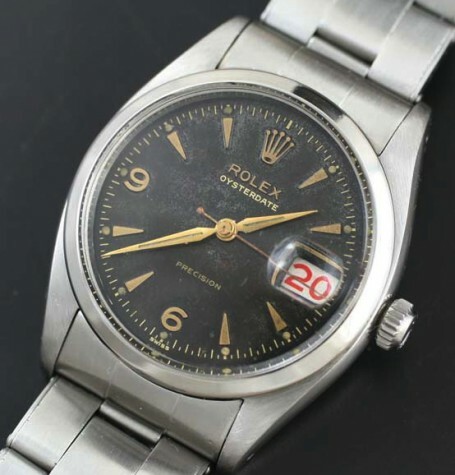 The alternating red and black numbers are similar to the pattern found on its gambling namesake. 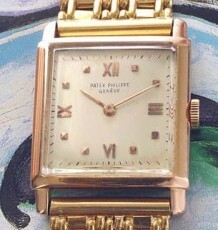 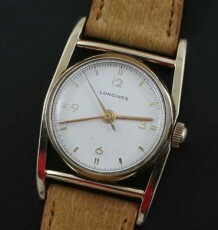 Other prominent features include the arrowhead markers, dauphine hands and the gilt text on the black dial. 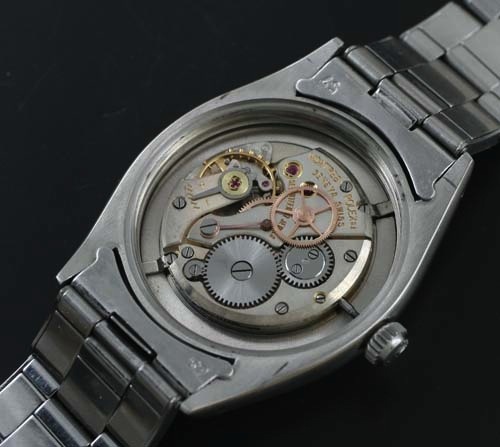 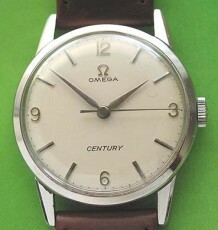 The all original dial has some even patina all over that adds a great vintage appearance to the watch. 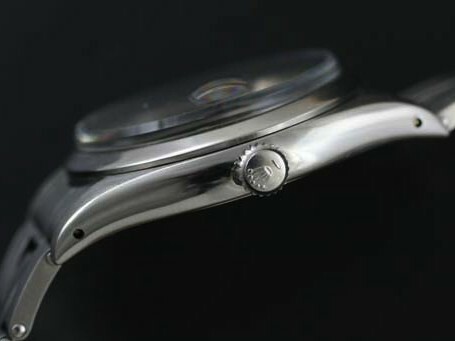 The watch is fitted with the Rolex calibre 1215 manual wind movement that was derived from the famed 10 1/2 Hunter movement used in World War 2. 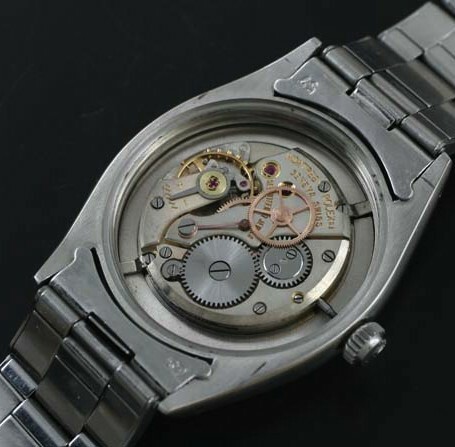 The watch was just serviced and functions flawlessly. 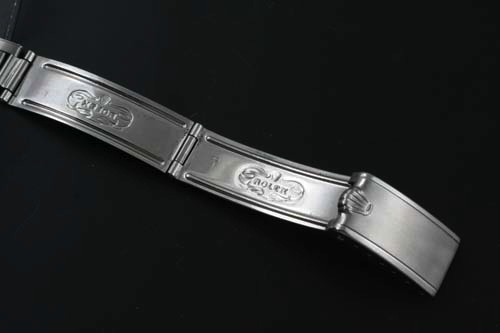 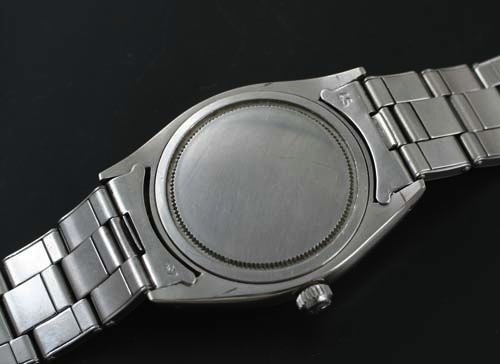 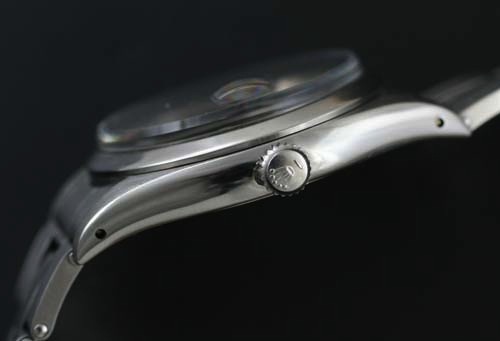 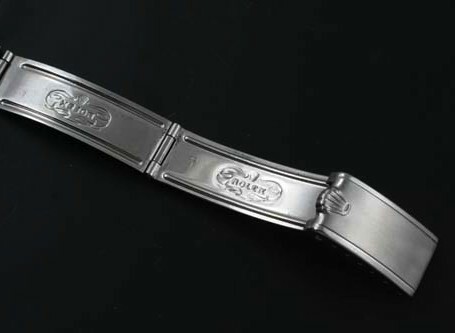 The watch measures 34 mm wide by 43 mm long. 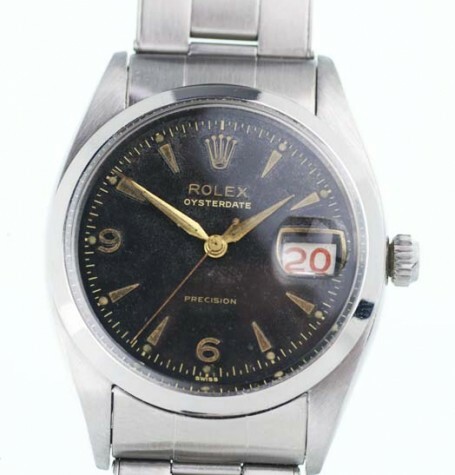 The watch is currently priced for shipment on the vintage Rolex riveted Oyster bracelet pictured, however it can be supplied on either a black or brown leather strap for a discount of $400.